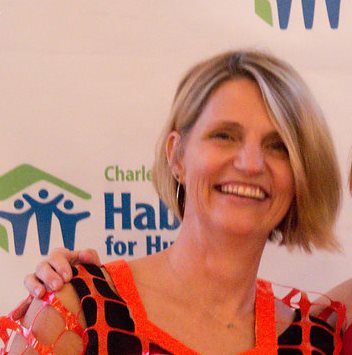 Lynn Bowley joined Habitat for Humanity as a Women Build volunteer in 2011, followed by six years of service on the Charleston Habitat Board of Directors as vice president. In addition, Lynn has been a volunteer on the Builder Bash committee since its inception in 2015. In October 2017, Lynn stepped away from the practice of law at Taylor & Bowley, LLC to lead CHFH as Interim Executive Director and became permanent ED in April 2018. Prior to leading the affiliate, Lynn and her law partners opened the first all-female Broad Street law firm. She has a bachelor’s degree in Sociology from UNC-Chapel Hill and a J.D. degree from Campbell University School of Law. Lynn has been married for 22 years and has 2 sons, one a junior at the U.S. Naval Academy, and the other a senior at Porter Gaud. Kristen moved from Charlotte, NC to join the Habitat Crew in January 2018. For over a decade she has assisted nonprofits of all sizes in their fundraising efforts, including American Cancer Society, Holy Angels, Boys & Girls Clubs of Greater Gaston, and Hospice & Palliative Care Charlotte Region. She has served on several nonprofit boards and is a Past President of the Junior League of Gaston County. Kristen received a Bachelor of Arts in English from Elon University and a Master of Public Administration from Villanova University, specializing in nonprofit management. She believes that Habitat encompasses her love for helping others, as well as rehabbing old furniture, and has made it her personal mission to become the first Restore VIP shopper. Kristen lives on Johns Island with her husband and 1-year-old daughter. A lifetime Long Islander, Candice moved to sunny Charleston to escape the snow. She has been Habitat’s Accountant since late 2015 and says her favorite part of the job is managing homeowners’ mortgages because she is able to build relationships with the families. Candice is a graduate of SUNY Binghamton, where she received a Bachelor of Science in Accounting. She has previously worked as a staff accountant for a public accounting firm, as well as an office manager and bookkeeper for a high end furniture retailer. She lives in Mount Pleasant with her husband, Chris, and their Cavalier King Charles Spaniels, Charlie & Maxie. 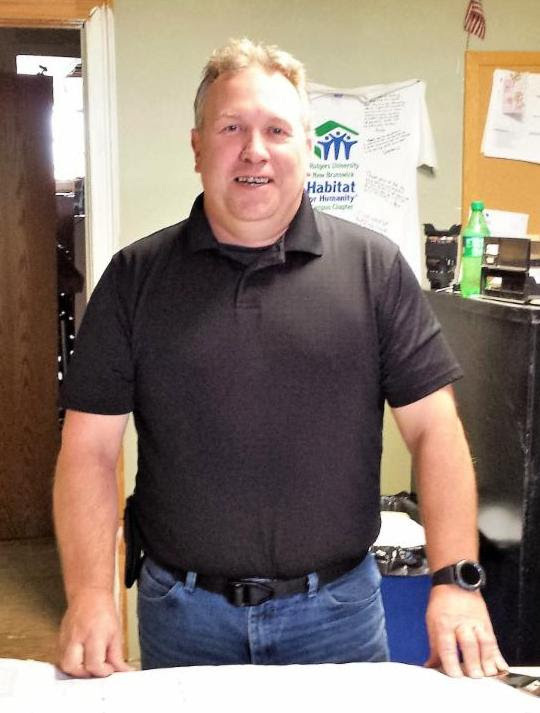 Jon has been with Charleston Habitat for Humanity since 2012 starting as the Assistant Restore Manager. He spent the year of 2014 as the Truck Driver picking up donations from the community to supply the Restore. From January 2015 to current, he moved to our construction team and has been acting as our Site Supervisor/Volunteer Coordinator. Hull received a BS in Physical Education with a Recreation emphasis and a Minor in Bible in 2007 from Lee University in Cleveland, TN. Born and raised in Erie, Pennsylvania, Hull has lived in Charleston since 2012. David was born and raised in South Jersey and joined the Charleston Habitat crew in 2017 as the Veteran Build Construction Manager. He studied business at Delaware County College and attended the US Navy’s Builder A&C School. David has worked in construction since 1987, renovating historical homes, as well as building everything from custom homes and hotels to churches and schools. He later joined the U.S. Navy Seabees, where he was able to build structures around the world. Having been a Habitat for Humanity volunteer, he is excited for the opportunity to build homes for other veterans. David is also a 25-year volunteer firefighter and certified sky and scuba diver. He met his wife, Rochelle, while on active duty and they have 3 children – Zach, Jessica and Hailey, 3 dogs and a cat.